We love it when the sun shines, there is always something special about it that makes us smile. With this weekend being the first weekend together since my operation it was lovely to enjoy some gorgeous weather. Clara decided it was the perfect day to enjoy a family get together at our newest residence. 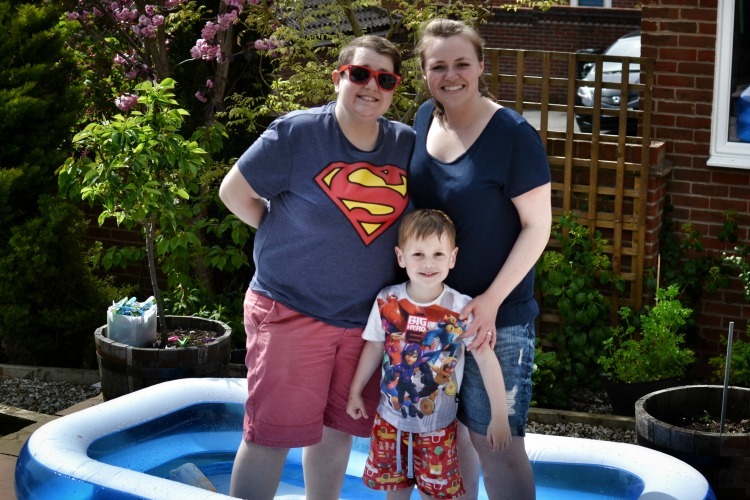 So with the sun out in all it’s glory, we bought a paddling pool, the BBQ was lit and much bouncing on the trampoline was enjoyed. 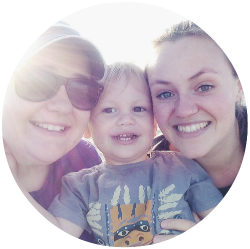 It’s days like this that make me wonder about the memories we are helping to create for our little man. 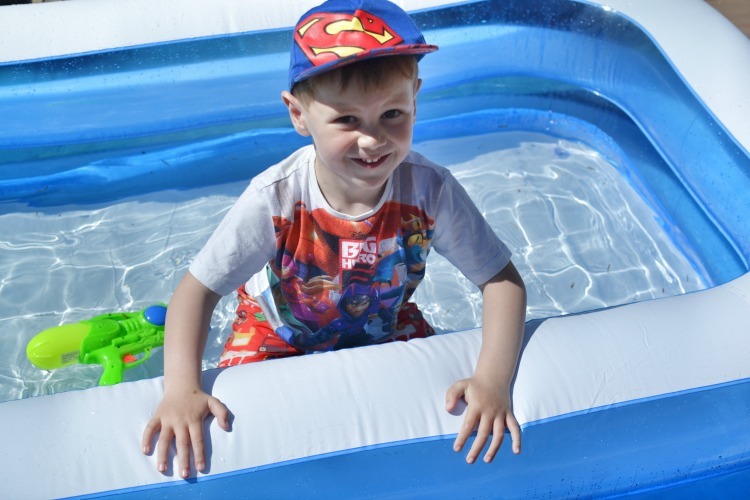 He enjoyed splashing in the paddling pool with his little cousin, he took part in water fights with Clara’s brothers and he ate as many fresh strawberries as he belly could cope with. Most of my favourite childhood memories are of family barbecues. We would all visit my Uncle Bob’s house and play volleyball or badminton in his gigantic garden, surrounded by bonsai trees and family enjoying wine and a burger. Sadly many family members have passed and as new partners have helped our family grow we all seem to have become too busy. 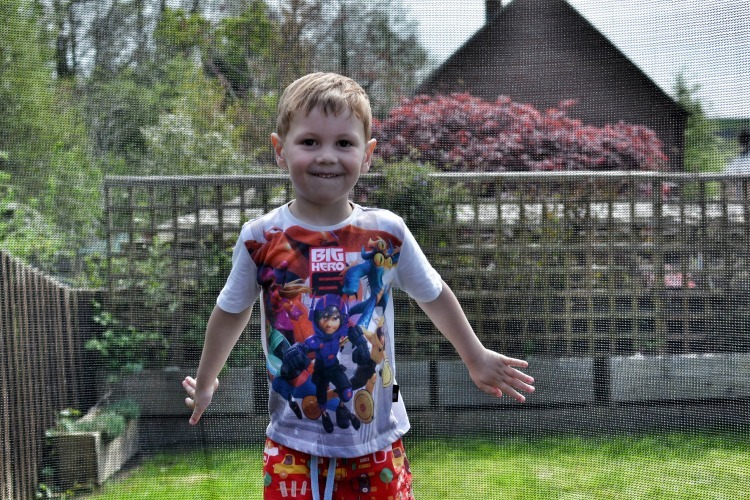 So it was nice to finally have some sun and enjoy passing on some BBQ memories to our little man. 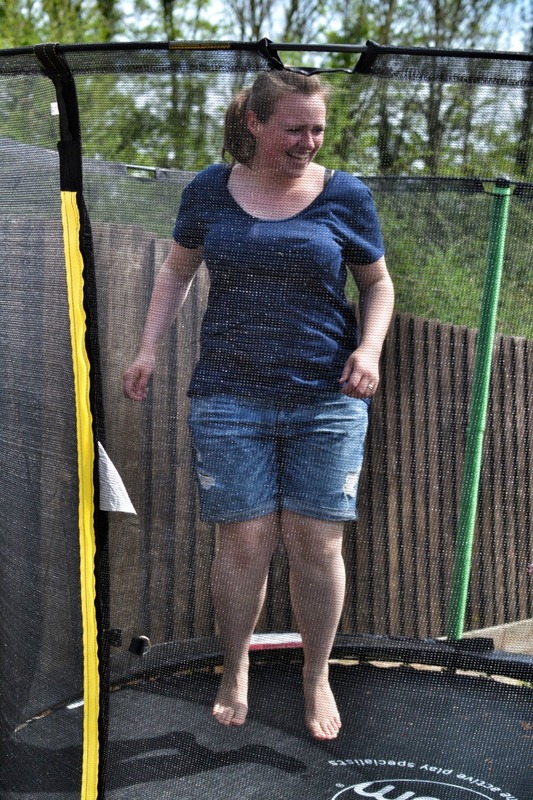 Clara could not pass up an opportunity for a bounce on her mum’s new trampoline, despite it suggesting it was only suitable for children. 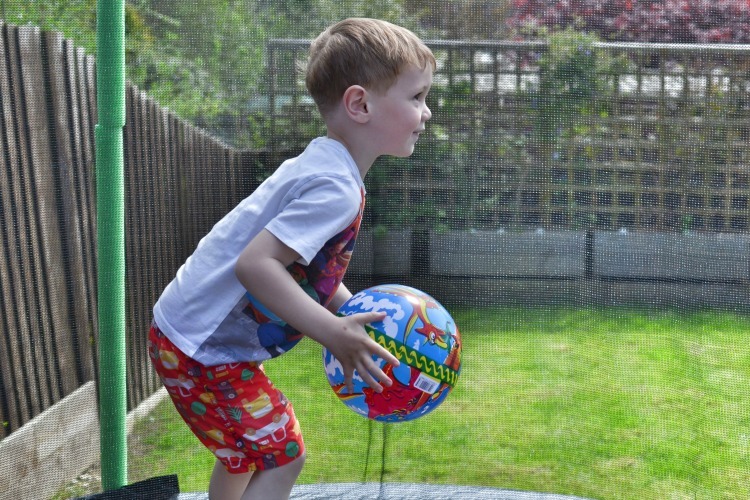 I am actually hopeful to have a bounce as soon as I am fully healed. By the end of the day we were all exhausted, full of food and drink and looking rather sun-kissed. I can’t wait for the next time the sun comes to play! Summer in the garden does bring back such lovely memories for everyone I think. 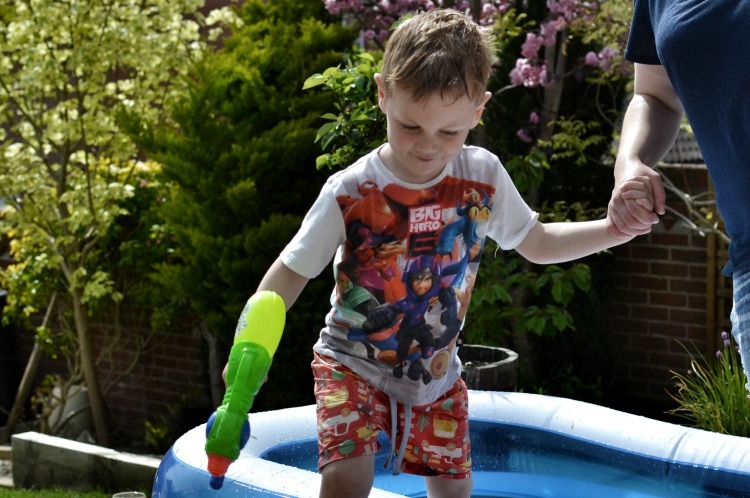 And it’s great that the things we used to enjoy as kids, sun bathing, water fights and paddling pools are still popular now. 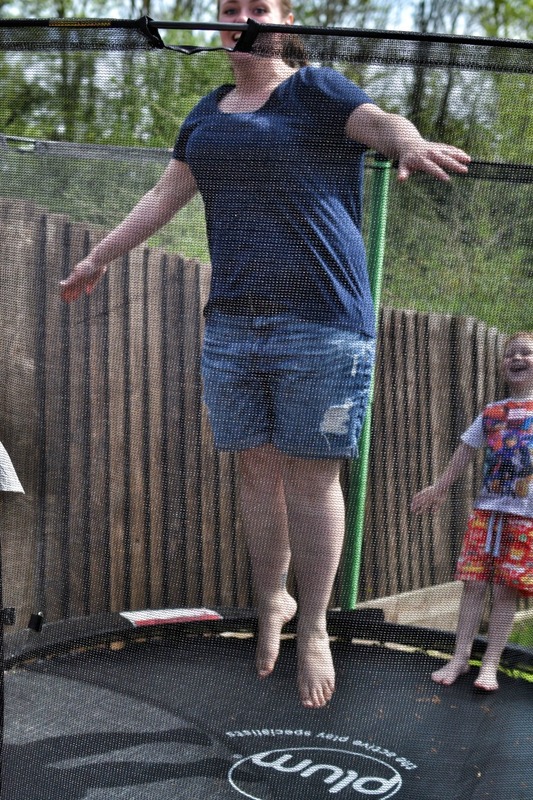 You all look really happy enjoying the sun, and hope you recover to get on the trampoline soon!